The internet was buzzing (pun intended) today about the news of a trademark infringement lawsuit filed by a Carlsbad, California-based electronic trivia game company against Sony, the maker of a series of trivia video games for the Sony PlayStation 2 under the name “Buzz!” Nearly all of the news reports of the lawsuit cite back to an article from Gamespot.com (link here). On January 23, 2008, Buzztime Entertainment Inc. and NTN Buzztime Inc. (together “Buzztime”) filed a lawsuit in the U.S. District Court for the Southern District of California against Sony Computer Entertainment Europe Limited (“Sony”). See Buzztime Entertainment Inc et al v. Sony Computer Entertainment Europe Limited, Case No. 08-cv-00122 (S.D. Cal.). Buzztime, founded in 1985, produces a line of electronic trivia game machines found in many restaurants and bars (although probably not in Vegas, where the video poker machine reigns supreme). Buzztime claims that approx. 13 million players play at its machines each month. Buzztime also provides quiz game services over mobile phones, digital cable and satellite systems and also offers a home version that hooks-up to a television. 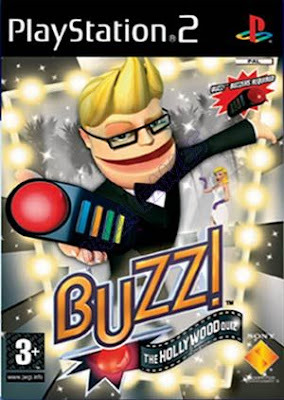 Buzztime alleges that Sony’s “Buzz!” line of video games as well as the tagline “It's time to get buzzing” infringe on Buzztime’s trademarks. Buzztime argues that Sony’s sale of a similar product to similar consumers through similar marketing channels is likely to cause consumer confusion or to deceive consumers as the source, origin, sponsorship, or approval of Sony’s goods and services by Buzztime. In addition to seeking injunctive relief (including having all infringing products recalled and destroyed), actual damages, punitive damages (for Sony’s alleged “malicious, fraudulent, knowing, willful and deliberate” trademark infringement), and legal fees, Buzztime also seeks an order from the court ordering the USPTO to deny registration to Sony’s pending trademarks. While Buzztime has not registered the mark BUZZ for its goods and services, it does hold registrations for BUZZTIME (for card games and video game machines), BUZZHEAD (for an on-line computer game), SHARE THE BUZZ (for interactive game with electronic rewards and points program played over radio, television, cable, telephone, and a global computer network), and BUZZKIDS (for providing interactive games via a global computer network). Meanwhile, Sony currently has three trademark applications pending for the mark BUZZ – none of which were opposed by Buzztime when they were published for opposition. Sony filed its first Section 1(b) intent-to-use application for the mark BUZZ on December 1, 2004 for three classes of goods and services (computer video games, handheld electronic games, providing online computer games). The mark was published for opposition on March 3, 2006, and, with no opposition filed, the notice of allowance was issued on September 5, 2006. A second request for an extension of time to file a statement of use was granted back on August 15, 2007. Sony filed a second Section 1(b) intent-to-use application for the mark BUZZ on May 9, 2005 for a single class of goods (instructional manuals, video game strategy guides, and trivia books). The mark was published for opposition on September 12, 2006, and, with no opposition filed, the notice of allowance was issued on December 5, 2006. A second request for an extension of time to file a statement of use was granted back on November 26, 2007. However, on December 26, 2007, Sony filed a petition to the Director of the U.S. Patent & Trademark Office (“USPTO”) seeking to amend the application after the notice of allowance to change the basis of the application from Section 1(b) to Section 44(e) on the basis of Sony’s European Union trademark registration (European Community Trade Marks Certificate of Registration No. 004266706, registered February 2, 2006) and seeking republication on this basis. The petition was granted on January 8, 2008, and the application was sent back to the examining attorney for consideration of the amendment. Sony filed a third Section 1(b) intent-to-use application for the mark BUZZ! (and design) (see picture above) on May 26, 2006 for three classes of goods and services (computer video games, hardware, and peripherals; instructional manuals, video game strategy guides, and trivia books; and handheld units for playing electronic games). The mark was published for opposition on July 17, 2007, and, with no opposition filed, the notice of allowance was issued on October 9, 2007. The application is awaiting Sony’s statement of use.